The Days Healthcare Sabelle Lift Chair is a traditional style chair suitable for a wide range of homes. Designed with an ultra-soft feel upholstery and equipped with a 2 year warranty. The integrated emergency battery back-up ensures that you won't get stuck in the event of loss of power. SKU: S1910. Category: Lift Chairs. 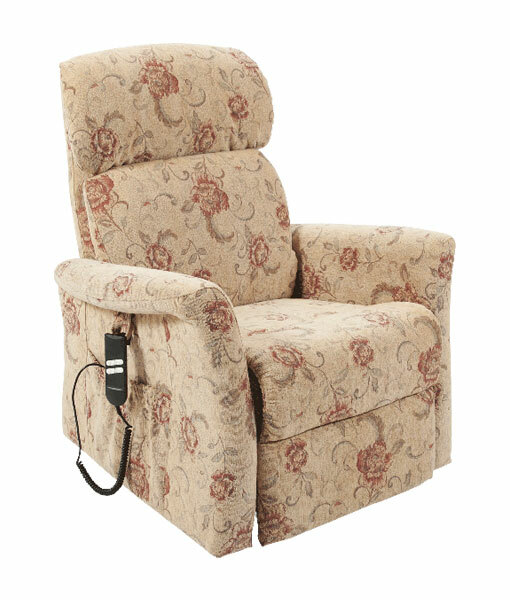 The Sabelle Riser Recliner Armchair 860, apart from being super soft has many other great features like a twin motor to enable the user to operate the back and leg rest independently. Available in tapestry, brocade or herringbone fabric upholstery.